Five new NASA Earth science campaigns, including one from NASA's Jet Propulsion Laboratory in Pasadena, California, will take to the field starting in 2020 to investigate a range of pressing research questions, from what drives intense East Coast snowfall events to the impact of small-scale ocean currents on global climate. These studies will explore important, but not-well-understood, aspects of Earth system processes. They were competitively selected as part of NASA's Earth Venture-class program. This is NASA's third series of Earth Venture suborbital investigations, which are regularly solicited, sustained observation projects first recommended by the National Research Council in 2007. The first set of five projects was selected in 2010, and the second in 2014. "These innovative investigations tackle difficult scientific questions that require detailed, targeted field observations combined with data collected by our fleet of Earth-observing satellites," said Jack Kaye, associate director for research in NASA's Earth Science Division in Washington. River deltas and sea level rise -- Marc Simard of NASA's Jet Propulsion Laboratory in Pasadena, California, will lead the Delta-X investigation to better understand the natural processes that maintain and build land in major river deltas threatened by rising seas. 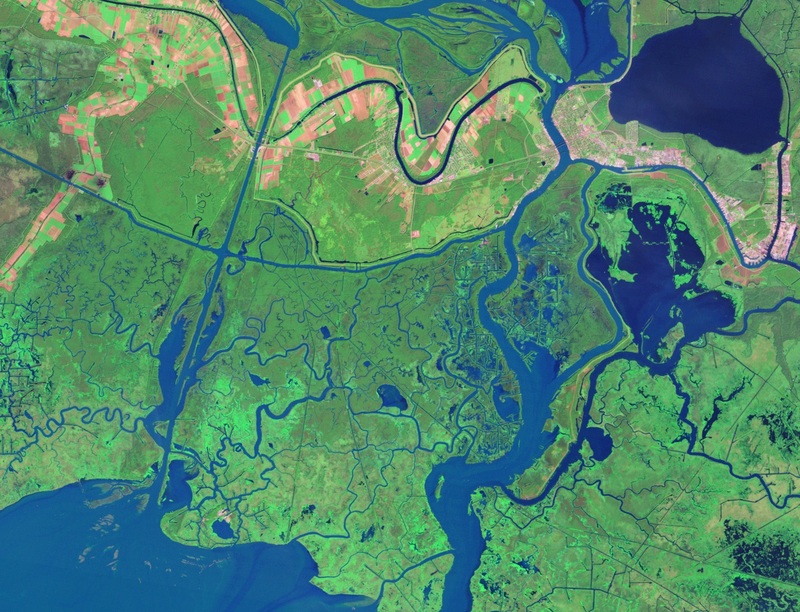 The project will improve models that predict loss of coastal land from sea level rise by improving estimates of how deltas add land -- a process that involves trapping sediments and creating organic soils as plants grow. Delta-X will focus on the Mississippi River Delta using instruments on three NASA research aircraft. Intense snowfall events -- Lynn McMurdie of the University of Washington will lead the Investigation of Microphysics and Precipitation for Atlantic Coast-Threatening Snowstorms project to study the formation of snow bands in East Coast winter storms. Better understanding of the mechanisms of snow band formation and the factors that influence the location of the most intense snowfall will help improve forecasts of these extreme weather events. This study will involve flights of NASA's ER-2 and P-3B research aircraft over the northeastern United States. Aerosols changing clouds -- Armin Sorooshian of the University of Arizona will lead the Aerosol Cloud Meteorology Interactions over the Western Atlantic Experiment to identify how aerosol particles change cloud properties in ways that affect Earth's climate system. The investigation will focus on marine boundary layer clouds over the western North Atlantic Ocean that have a critical role in our planet's energy balance. Two NASA research aircraft, an HU-25 Falcon and a B-200 King Air, will fly from NASA's Langley Research Center in Hampton, Virginia, to gather measurements from above, below and within. Impact of strong storms on stratosphere -- Kenneth Bowman of Texas A&M University will lead the Dynamics and Chemistry of the Summer Stratosphere project to investigate how strong summertime convective storms over North America can change the chemistry of the stratosphere. These storms regularly penetrate deep into the lower stratosphere, carrying pollutants that can change the chemical composition of this atmospheric layer, including ozone levels. 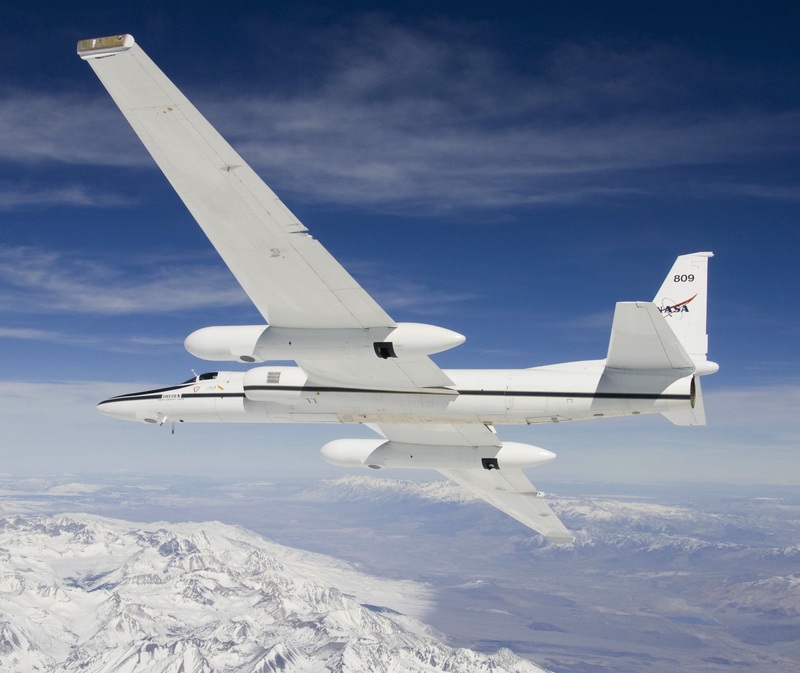 Flights of NASA's ER-2 high-altitude aircraft will be based in Salina, Kansas. Ocean heating of the atmosphere -- Thomas Farrar of Woods Hole Oceanographic Institute will lead the Submesoscale Ocean Dynamics and Vertical Transport investigation to explore the potentially large influence that small-scale ocean eddies have on the exchange of heat between the ocean and the atmosphere. The project will collect a benchmark data set of climate and biological variables in the upper ocean that influence this exchange. Measurements will be collected by research aircraft and shipborne instruments 200 miles off the coast of San Francisco. Six NASA centers and 27 educational institutions are participating in these five Earth Venture projects. The five-year investigations were selected from 30 proposals. The Delta-X project is funded at a total cost of no more than $15 million; each of the other projects is funded at no more than $30 million. Earth Venture investigations are part of NASA's Earth System Science Pathfinder program, managed at Langley for the agency's Science Mission Directorate in Washington. Competitively selected orbital missions and field campaigns in this program provide innovative approaches to address Earth science research with frequent windows of opportunity to accommodate new scientific priorities. NASA uses the vantage point of space to understand and explore our home planet, improve lives and safeguard our future. The agency's observations of Earth's complex natural environment are critical to understanding how our planet's natural resources and climate are changing now and could change in the future.